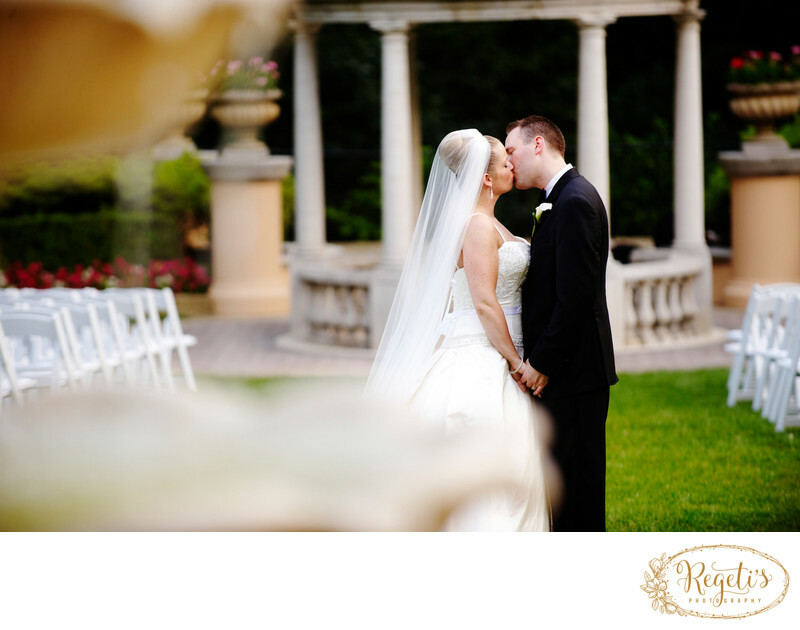 The gazebo in the gardens of the Omni Shoreham in Washington DC lends itself to the perfect wedding ceremony spot for weddings of all kinds. Matt and Laura had a traditional Catholic wedding, but we have done a number of South Asian Indian Weddings as well where the gazebo has doubled for both a traditional HIndu mandap as well as the site for beautiful Christian/Non-Denominational ceremonies that have taken place within. Location: Omni Shoreham, Washington DC. Keywords: Bride and Groom (69), Omni Shoreham Hotel (3), Wedding (12).